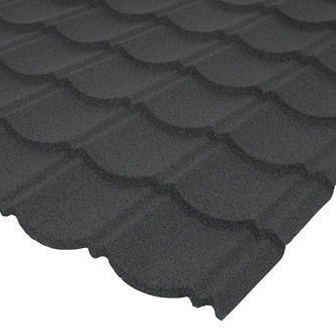 Corotile is the popular choice of roofing sheet with its distinct tile shaped profile and charcoal finish. It can be used to fit any size of roof by overlapping the tile sheets by any combination of full tile widths, both vertically and horizontally. Refer to the Corotile installation guide and installation video for complete installation instructions. Ensure correct accessories are chosen to match Corotile sheet profile. We recommend using 9 fixings per Tile Sheet and 3 fixings per Barge Board including overlap. This product is covered by a 15 year warranty. A replacement is provided free of charge if the product has failed due to a manufacturing defect, in normal climatic conditions within a 15 year period from the date of purchase. Corotile MUST be fixed and maintained in accordance with the manufacturer's instructions for the warranty to remain valid: re-erections or consequential damage costs are not included.